A diet including grapes, chocolate and red wine can keep you young and healthy by giving you a boost of anti aging resveratrol. In a book published 1500 years ago, “Shin-No-Hon-Zou-Kyo,”the oldest book of materia medica, the grape was described as “Good for muscle, bone, and longevity.” Surprisingly, the actions described for grapes are almost the same as those described for anti aging resveratrol. Resveratrol was first isolated in 1940; however, in 1992 anti aging resveratrol became know when a study of the “French Paradox” showed that red wine drinkers had less coronary heart disease even though they ate butter, cheese and saturated fats. Since then, more and more studies have indicated that anti aging resveratrol may be useful in treating cardiovascular diseases, cancers, pain, inflammation, tissue injury, and in reducing the risk of neurodegenerative disorders, especially Alzheimer’s disease. 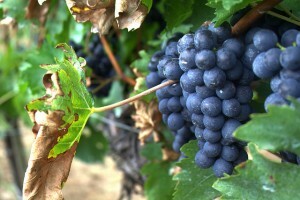 Anti aging resveratrol was also shown to enhance stress resistance and extend lifespan. We die and age because of oxidation and inflammation and these two processes can enhance the progression of degenerative diseases of aging as well as cancer. Anti aging resveratrol has multiple biological activities. It has anti-inflammatory and anti oxidant actions and stops the growth and progression of cancer. Here is some of the latest evidence on how anti aging resveratrol can keep you young and healthy. Anti Aging Resveratrol protects your brain and nervous system. In the past few years, mounting evidence has suggested that resveratrol is neuroprotective against a number of neurological diseases. Recently, resveratrol has been shown to protect against various neurological disorders in experimental models, including lack of blood flow to the brain, seizures, and neurodegenerative disease. A recent article in Time Magazine highlighted a study on Alzheimer’s patients’ response to anti aging resveratrol. Patients in this group had some improvements in their ability to carry out daily tasks and told the researchers that they felt like they were maintaining their mental ability. The stress hormone norepinephrine has been associated with cancer progression, and naturally occurring phytoalexin resveratrol has been known to suppress cancer growth and progression. Calorie restriction has been shown to extend lifespan and ward off many chronic degenerative diseases of aging. Both caloric restriction and resveratrol have beneficial effects on obesity. They may inhibit genes that are not well regulated by turning on a gene that allows more energy production and fat burning. Resveratrol improves insulin sensitivity and lowers production of glucose, which when high, is the hallmark of diabetes. It regulates SIRT1 to reverse insulin resistance and improve glucose regulation in obesity and diabetes. The French paradox is known as a decrease in the incidence of cardiovascular disease by drinking moderate amounts of red wine despite eating a lot of saturated fat. Anti Aging resveratrol is the key compound thought to cause this effect. Anti aging resveratrol increases nitric oxide levels and improves its bioavailability in blood vessels. Nitric oxide relaxes smooth muscle cells in blood vessels thereby increasing blood flow. It prevents blood clots and plaque that can break off and cause heart attacks and stroke. Eating grapes, drinking red wine and having some dark chocolate in moderation will only give you small amounts of anti aging resveratrol not doses used in studies so a good quality supplement is recommended. There are always other factors that influence health and wellbeing. A diet rich in mono and polyunsaturated fats and colorful fruits and vegetables are the basis of looking and feeling younger and healthier. Adding anti aging resveratrol may enhance protective health effects along with other nutrients. Get an assessment by a functional anti aging doctor to determine your nutritional deficiencies, risks and best treatment to look and feel your best.